The majority of Carbon Dioxide gas in beverage industry is used during carbonating process. It is also used in fermentation and refrigeration. 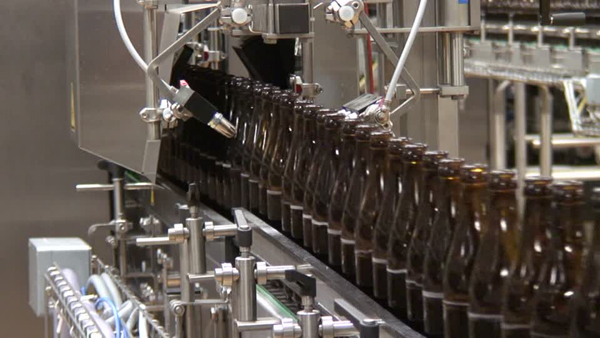 During the bottling process a high volume of Carbon Dioxide can be emitted into the plant room. Also during transport or storage of Carbon Dioxide, there is always a risk of unnoticed gas leakage. Exposure to elevated levels of CO2 can cause headaches, drowsiness or even sudden death. Hence facilities where there is a possibility of Carbon Dioxide reaching to the dangerous level, an accurate and reliable CO2 control system should be installed to maintain a healthy work-place. Carbon Dioxide is also released during fermentation process. To achieve and maintain high operational safety the level of CO2 should be monitored and controlled in fermentation rooms. At GasAlarm we offer innovative sensors and controllers to identify and immediately display the life threatening CO2 gas. These products are based on years of experience and were compiled with a lot of know-how and tailored to individual customer application.